Original Equipment Manufacturers (OEMs) that follow strict guidelines such as the Design for Manufacturing and Assembly (DFMA) methodology will rarely have issues. Although, if transducers are placed in a manufacturing environment where they're exposed to excessive temperature, voltage, EMI/RFI, shock, handling, and overpressure, then problems will occur. These six elements should be considered by all OEM design engineers when designing a system to be manufactured and shipped to their customer. Excessive high temperatures usually result in pressure transducer difficulties, because a handful of components can only operate within certain temperature ranges. Even if the excessive temperature is used within a close vicinity to the transducer, there can be adverse effects on it's functionality. Voltage spikes can also be damaging to pressure transducers after being installed in machinery on the OEM's manufacturing floor as a result of the short intensive transients in voltage. The source of the voltage spike is extremely hard to trace, making it more of an issue. As a result of this problem, OEM engineers must be aware of the environment that the pressure transducer is place within. AC voltage stabilizers, zener diodes, or other voltage limiting strategies can help protect the transducer from potential harm. 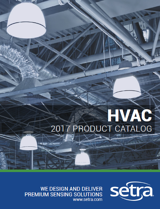 Fluorescent lighting's association with voltage puts pressure transducers in danger of failure. Fluorescent lamps require an initial high voltage to start the electrical arc through argon and mercury, which then heats the mercury until it becomes a gas. Another issue with this lighting is that the magnetic field that fluorescent lighting creates can induce voltages into transducer wires, which the control system may misinterpret as an actual output signal. Naturally pressure transducers are susceptible to the negative effects of electromagnetic emission or electrical disturbances. 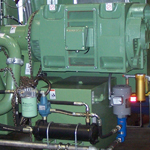 Motor generator sets should be located at a distance away from transducer machinery to avoid faulty signals and other issues associated with induced voltage. Contactors, power lines, computers, cell phones, and large machinery should always be avoided. Reducing the EMI/RFI noise is possible through shielding, filtering, and suppression. Pressure transducer operational problems can also arise from shock and vibration. Shock is a sudden, unexpected impact that transmits energy to a device in a relatively short time interval. Vibration is a continuous oscillation directed at the transducer, and can damage functionality through even a test engine cell's constant vibration. Overpressure has numerous causes, and for that exact reason should be carefully avoided. Overpressure can result from water hammer, heat unintentionally applied to the system, or a faulty pressure regulator. Although pressure transducers can withstand occasional pressures up to their proof pressure rating, pressures that are above proof but below burst pressure can result in permanent damage. The manufacturing environment in which a pressure transducer is exposed to needs to be carefully designed by OEM engineers. One way to avoid future damage to the transducer's operation is to understanding both the overall system and design that it would come in contact with. By eliminating all these factors in the environment, there will be minimal maintenance and require less service than expected. CLICK HERE to learn more about General Industrial OEM & how Setra can help you.